How many ways can your cat be delighted by catnip? 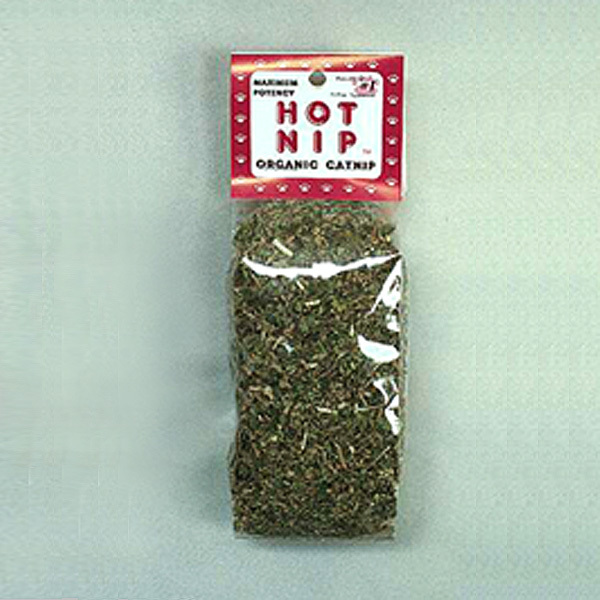 Our “Hot Nips” is 1.25 cups of certified organic catnip, packaged in our eco-friendly biodegradable cellophane. 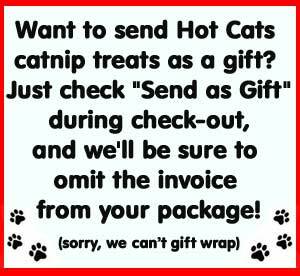 Your cat deserves the very best! Our catnip has always been #1 top grade catnip herb. It’s Certified Organically Grown by Washington state, and our packaging is eco-friendly biodegradable cellophane.